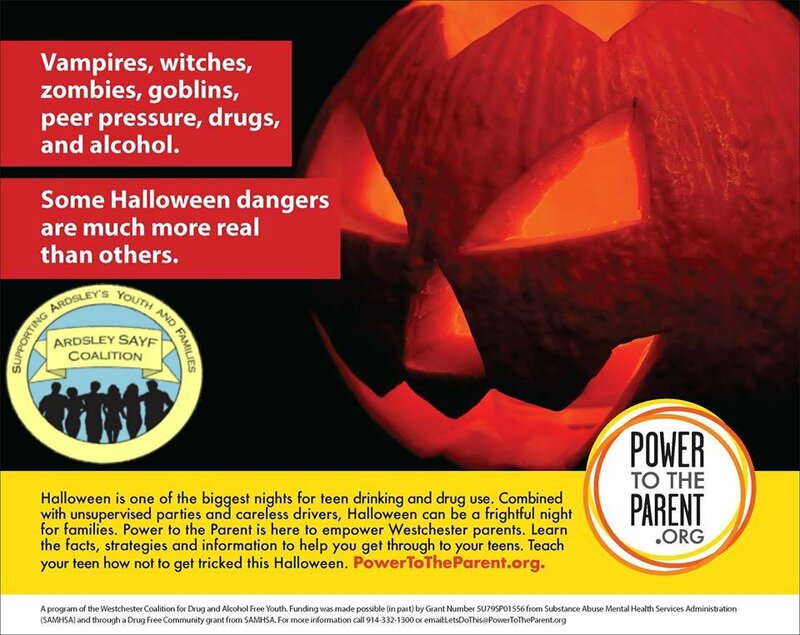 Here are some tips to help keep your Halloween SAYF. Make sure your costume is functional. You should always be able to move freely and not be hindered in case you need to move quickly, or leave a situation — like a party that has gotten out of control. Be extra careful on the road, whether you’re driving or trick-or-treating. There will be a lot of parties, especially with Halloween being on a Friday this year. If you are driving, watch out for kids in dark costumes that may be trick-or-treating. Also, don’t let your friends distract you while driving; if they are getting too rowdy ask them to stay calm. Keep it safe and drive slow enough to stop quickly. If you suspect that your friend has been drinking, don’t get in the car with him or her. Call a family member for a safe ride home. Make sure your friend is not driving, take their keys away, and don’t let them drive under the influence. If you go trick-or-treating, be smart: don’t eat any opened or unwrapped food or candy, and always wait outside of the home. Have a cell phone handy in case you get separated from friends or need a parent to pick you up! It might not go with your costume, but it’s the best thing to have around in an emergency. Vandalism is never cool! Throwing eggs at cars and houses is not cool. Someone has to clean it up and it could be you, if you get caught. You can also be arrested and punished as a juvenile. So, don’t think that it’s all in fun; it’s never the right thing to do! Think about how you or your parents would feel if someone did that to your house. Next Post Help Us to Plan Our Future Presentations!